A loan of $1,750 helped to pay for tuition fees for her BSc. in Biology at Vanadzor Pedagogical University. Meet Aneta, 20 years old student from Vanadzor. Aneta currently studying for a BSc. in Biology at Vanadzor Pedagogical University. She wants to become a biologist and made the specialization decision when she was a schoolgirl. Aneta wants to teach biology at the local schools. She lives with her brother, grandparents and parents. Her mother retails clothing among neighbors, her brother works at a bakery, grandparents are pensioners and father works in a neighboring country as a constructor. Aneta studies very hard to make her family proud. 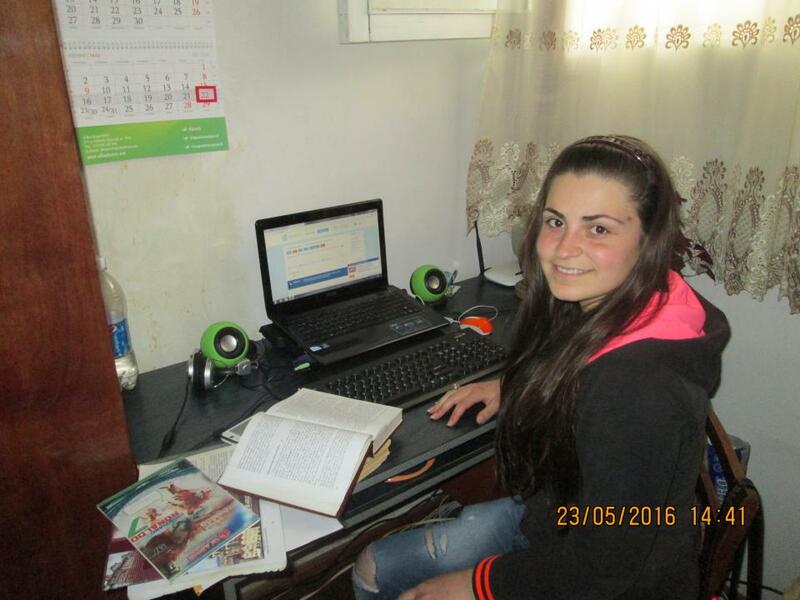 She applied for this loan to pay for tuition fee at Vanadzor Pedagogical University. This will give Aneta an opportunity to continue studying what she loves. It empowers low-income students and has a longer loan term to help them find jobs before repaying. Although Armenia has a national student loan program, loans are disbursed by banks, which often reject low-income student loan applicants because they are considered too risky. This loan is part of Kiva and SEF International's new loan product built to allow those who are rejected by banks to pursue their education with financing that has terms similar to the national student loan program. This means that low-income students receive an affordable interest rate and a grace period that lasts during the student's entire studies. This allows students to secure an income before worrying about repayment obligations, but also means there is a longer loan term that may make this loan more risky. Additionally, funds are directly paid to the student's educational institution at the beginning of each academic term and there is a discounted rate for students who come from particularly impoverished areas. By supporting this loan, you’re contributing to a groundbreaking loan product that empowers this student to secure a better future.